(ARA) – A home is a place of comfort and relaxation. Many homeowners are now taking to the outdoors and making this space an extension of the dream home they’ve always wanted. 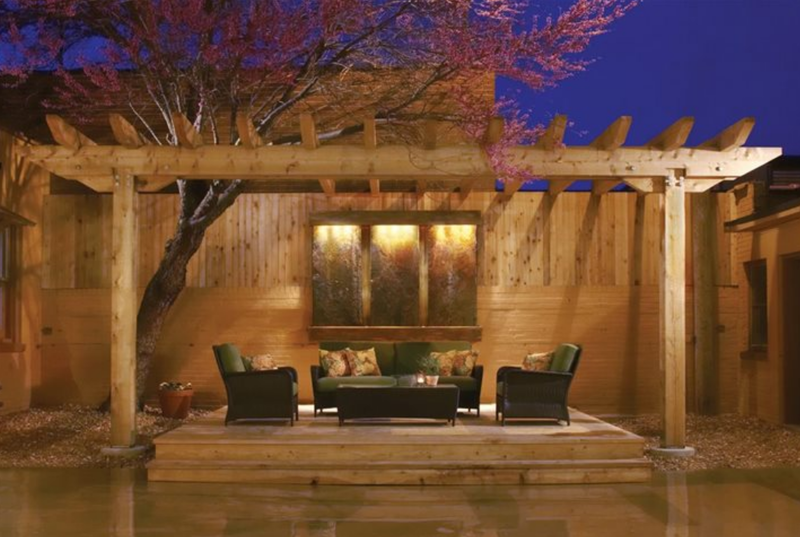 One way to transform a house into a dream home is by utilizing the outdoor space with the addition of a new deck or improvements to an existing deck. A deck creates the perfect backyard oasis to escape the stresses of a busy lifestyle, to enjoy the outdoors, grill out, have a party or simply relax. With a deck, a couple can celebrate with friends, children can play outside and parents can retire in comfort. Many alternative decking choices are available for homeowners seeking high-quality materials with low-maintenance features. Choosing to go with alternative decking materials helps homeowners save money and have more time to spend outdoors enjoying time together. While composite products will need occasional cleaning, they don’t need the sanding, staining, sealing or painting that wood decks require. There are many choices for deck designs, materials and colors that can make choosing a dream deck a little overwhelming. But deck design tools like those found at TimberTech can help ease the deck design process without having to leave the house. For example, TimberTech’s product selector can help homeowners determine which alternative decking material works best for their lifestyle. Families with children, pets or even special needs equipment like wheelchairs will be interested in the products offered by TimberTech that can easily withstand high traffic volumes without showing scratches or wear. These products will maintain their good looks and durability in the years to come with minimum cleaning and maintenance. Online design tools help homeowners envision the perfect colors that match the house and find environmentally friendly decking and railing products. Some homeowners are interested in a clean appearance by using hidden fasteners or railing systems with no exposed hardware, while others pursue a more economical approach to picking the perfect decking. Railing systems provide additional safety and style while lighting options help homeowners illuminate their space for extended time on the deck once the sun has set. The beauty of composite decking – in addition to the multitude of color and material options – is that it’s fully customizable to whatever style or look is wanted for the deck. Homeowners can opt for a deck and railing design all in one color to perfectly blend in with the house, or can go the contrasting route to make the deck a unique design feature to beautify the backyard. Decks can be both practical and stylish, which is why many homeowners looking to enhance the look and the value of their home and increase their living space consider replanking an existing wooden deck or adding a new deck. Composite decking products provide many different style options and allow homeowners to enjoy their deck without annual sanding, staining, sealing or painting. To get started on planning a new deck or upgrading your current deck, visit www.timbertech.com.